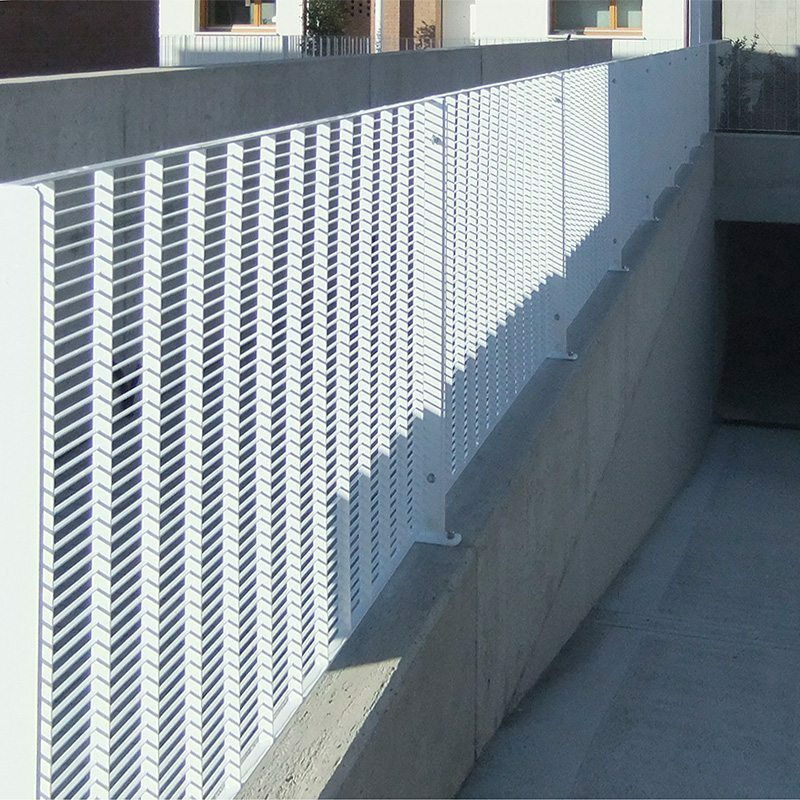 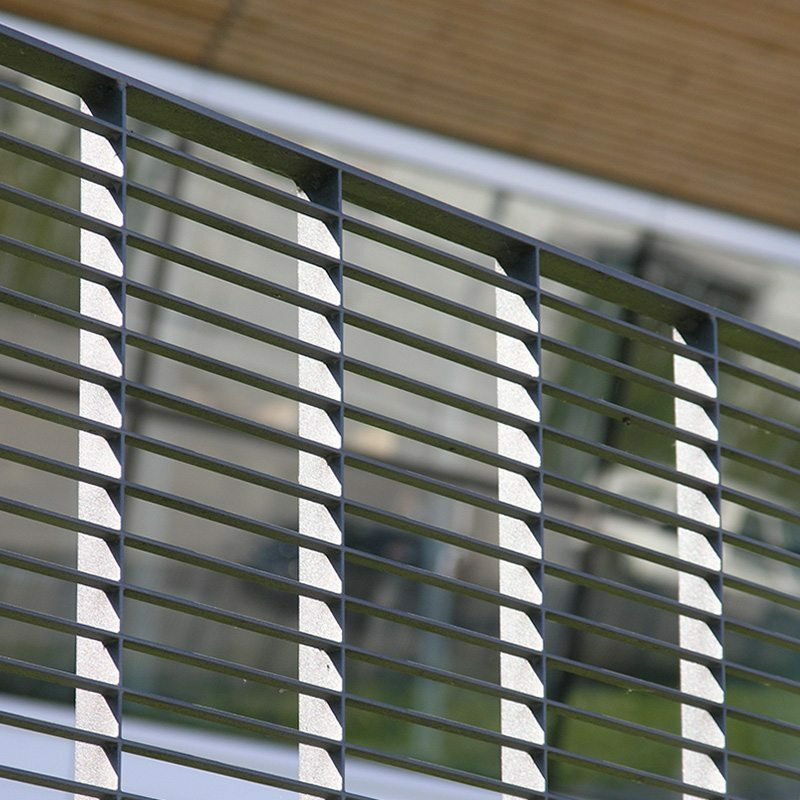 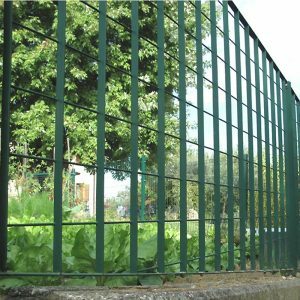 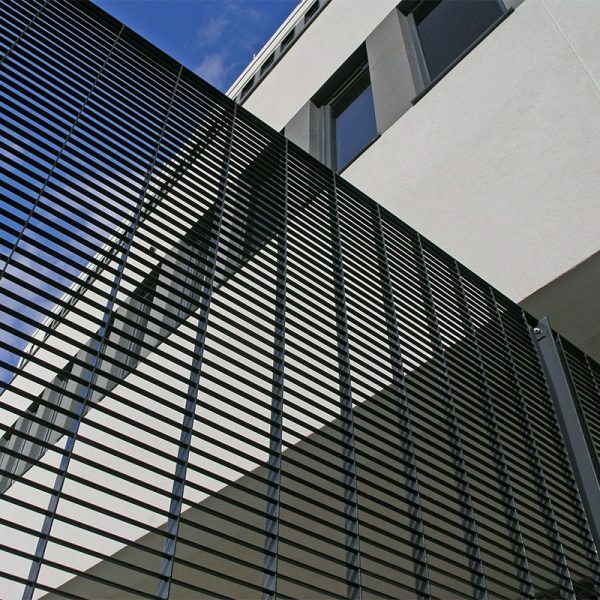 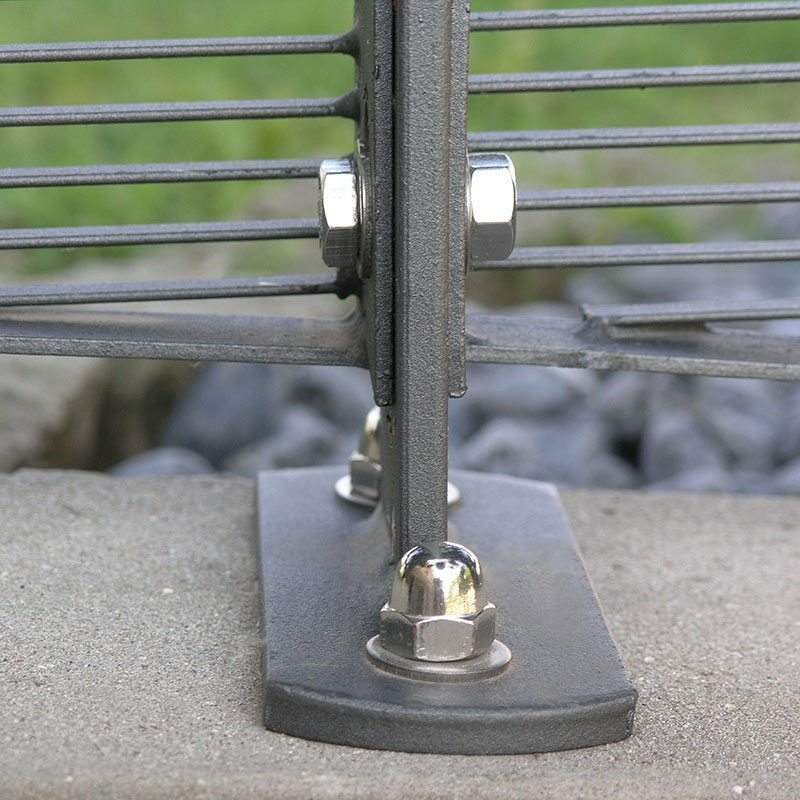 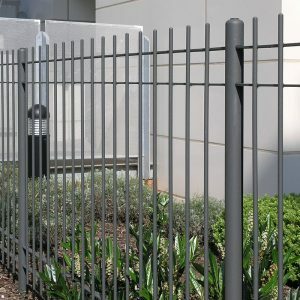 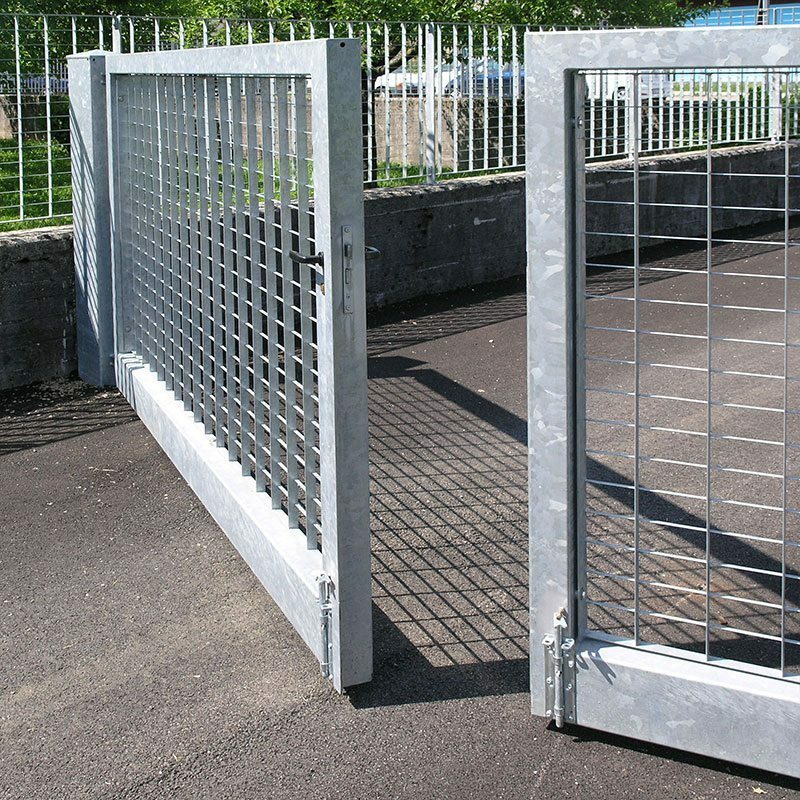 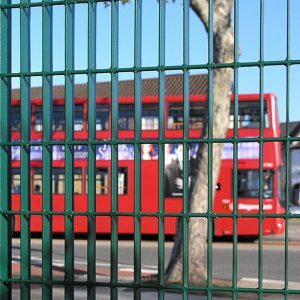 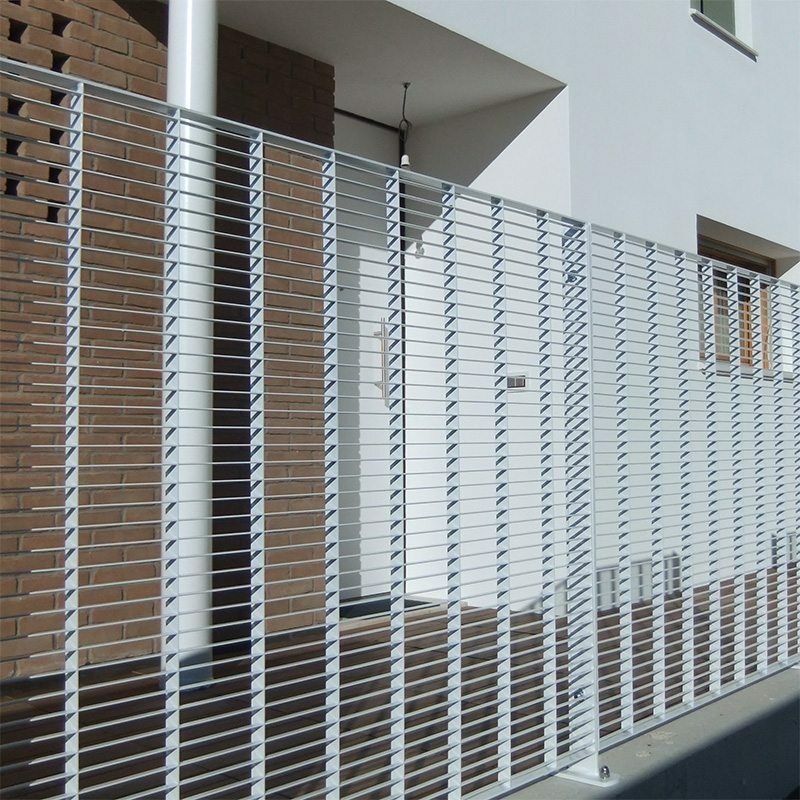 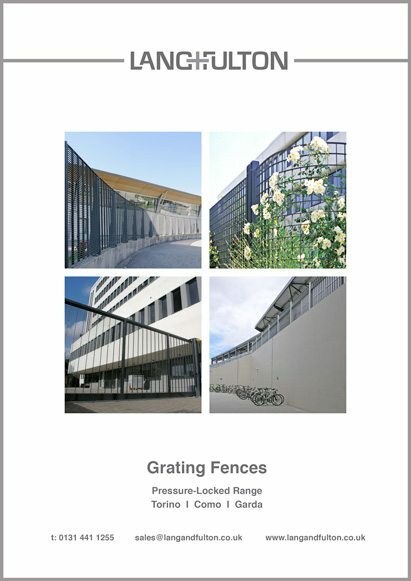 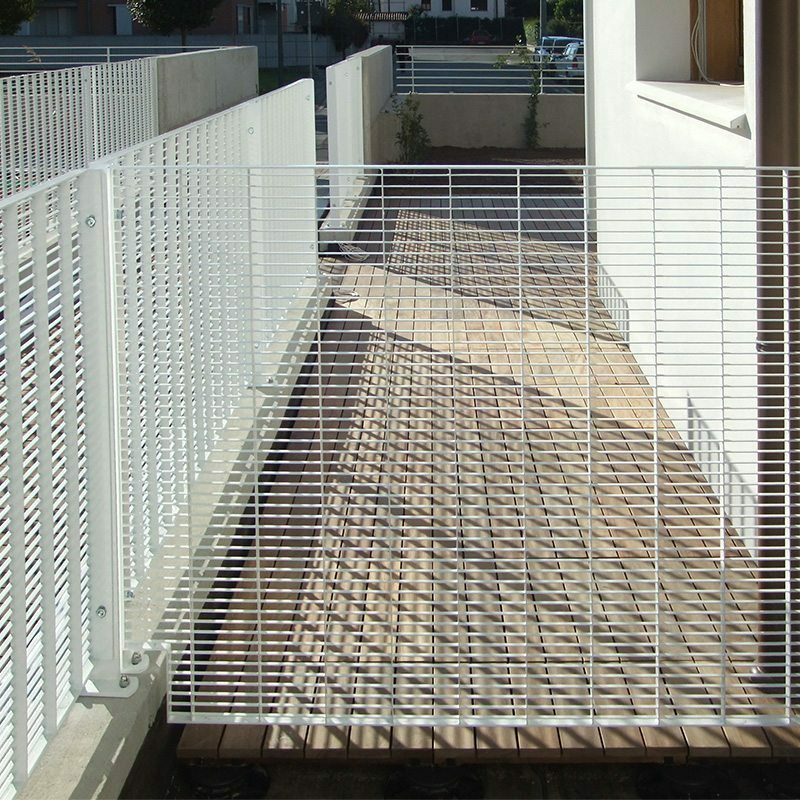 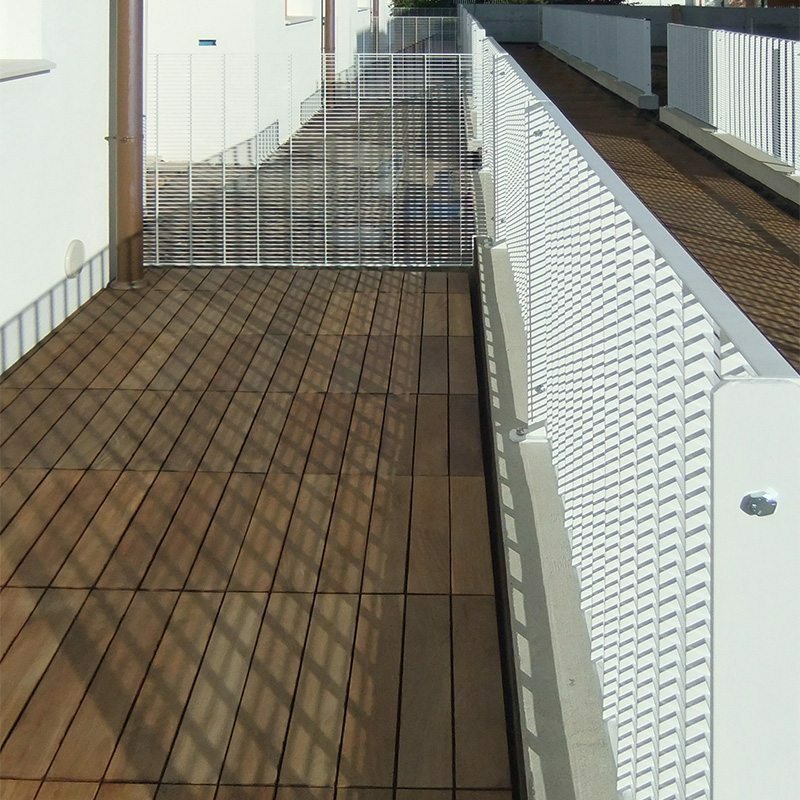 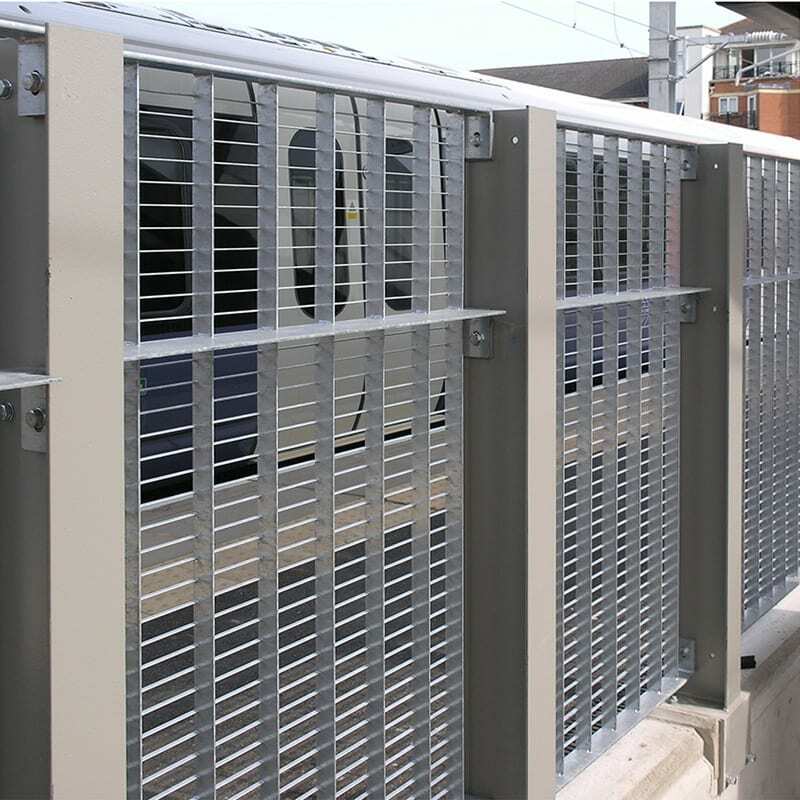 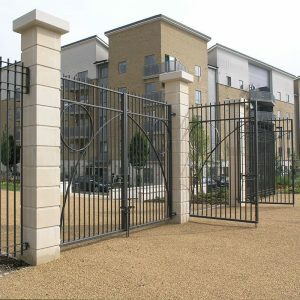 The Torino range represents a totally new concept; the exclusive and unusual arrangement of closely spaced transverse bars generates a uniquely horizontal emphasis within the grating fencing market. 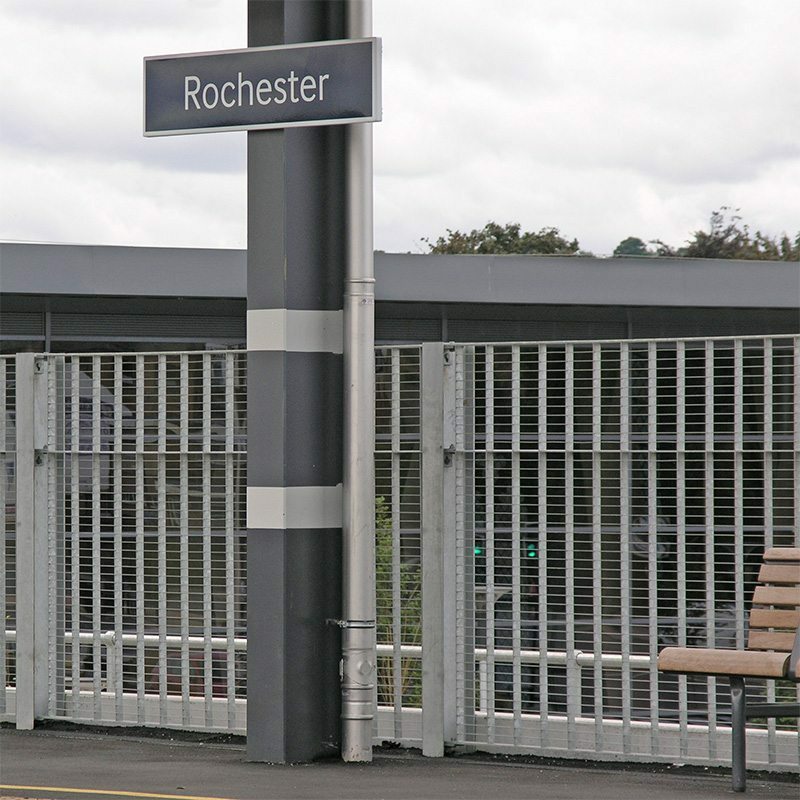 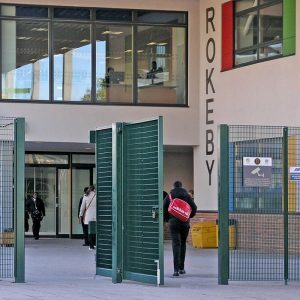 The fence panels are made entirely from flat bars using a pressure-lock process which produces a grating with perfectly formed intersections. 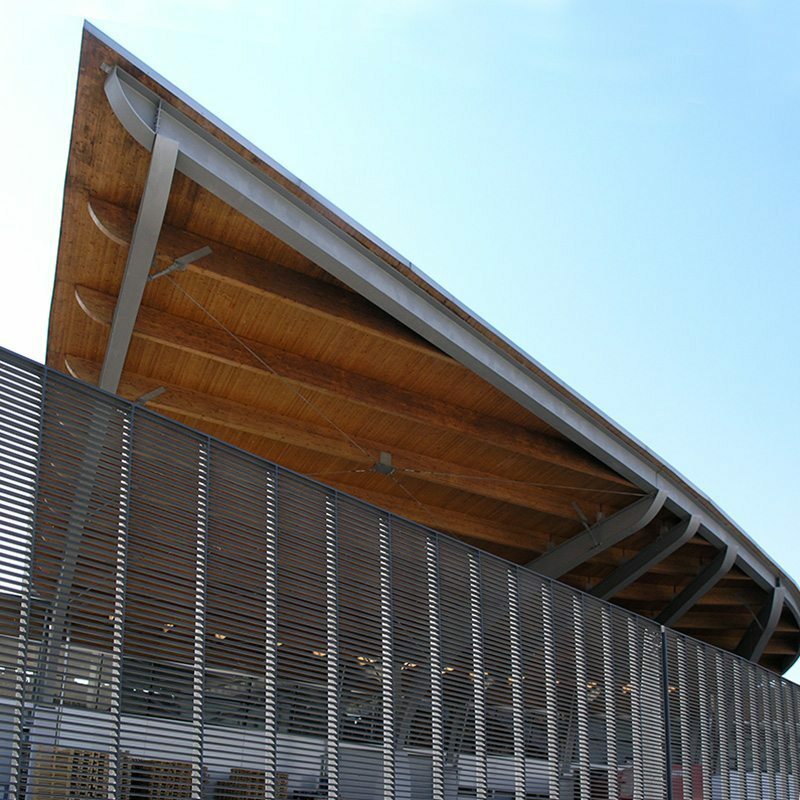 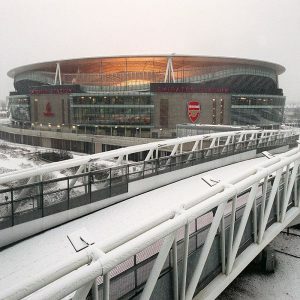 This delivers an exceptionally crisp, architectural aesthetic. 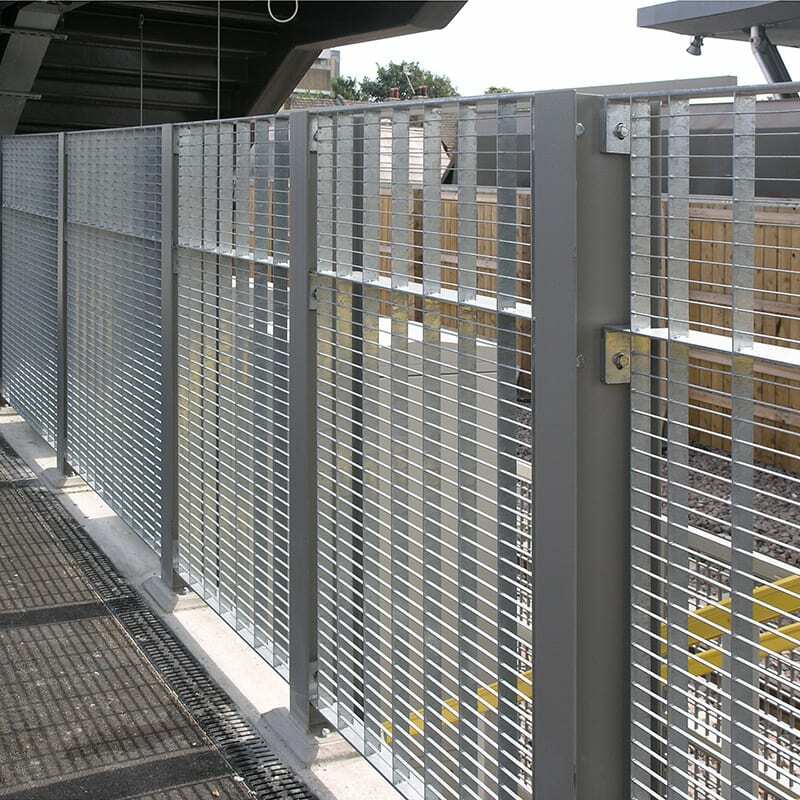 The Torino range offers a choice of four standard apertures but can also be supplied in larger mesh sizes. 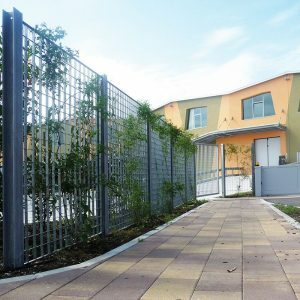 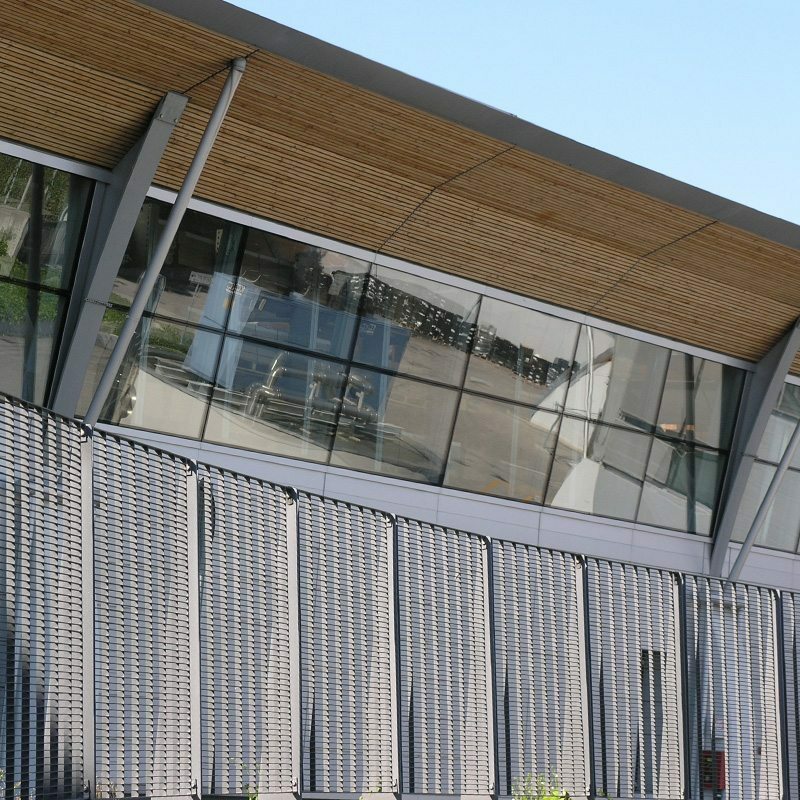 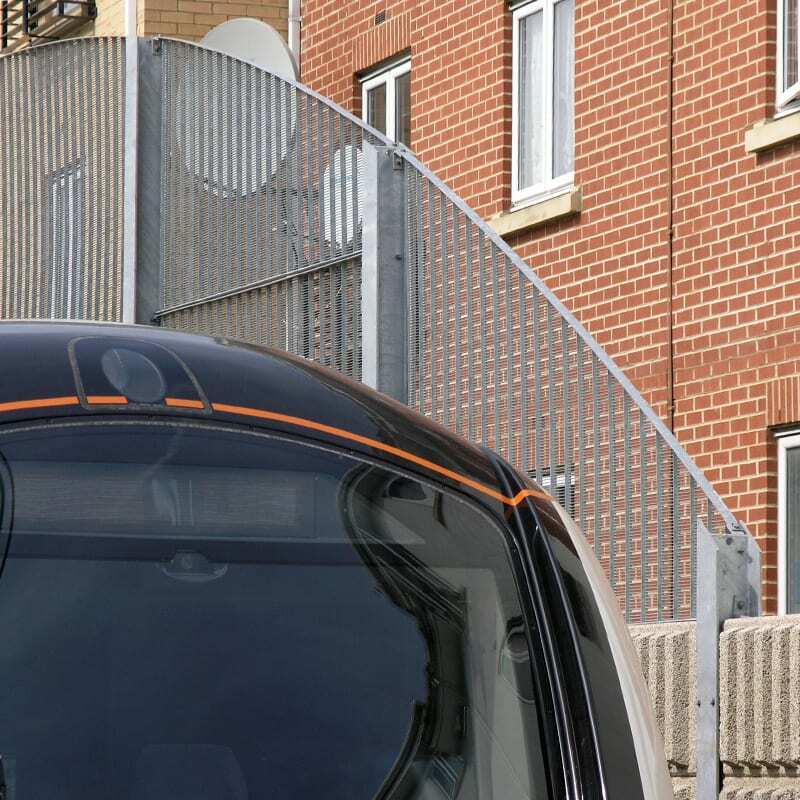 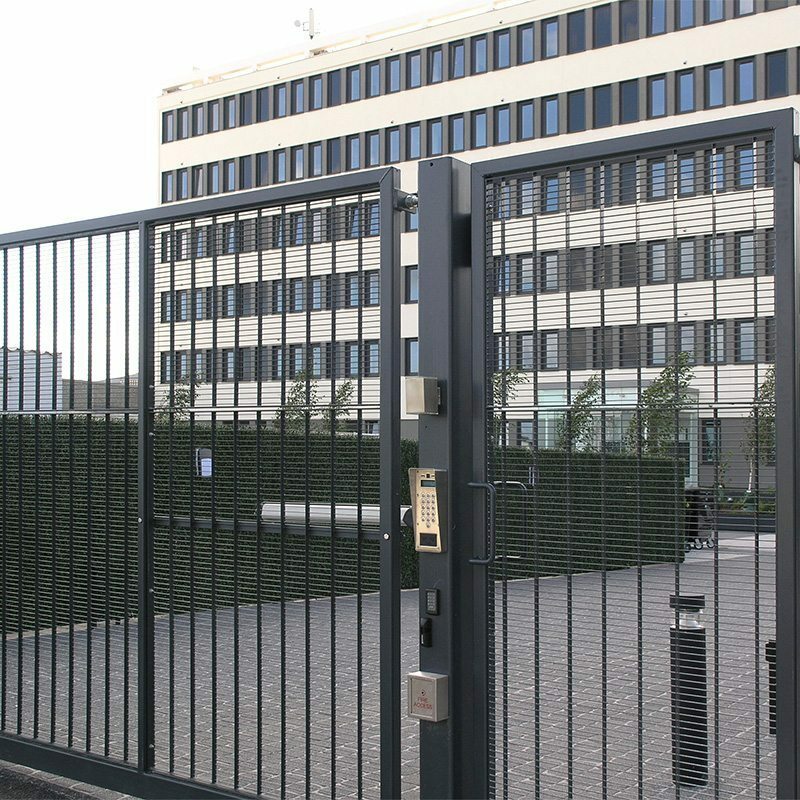 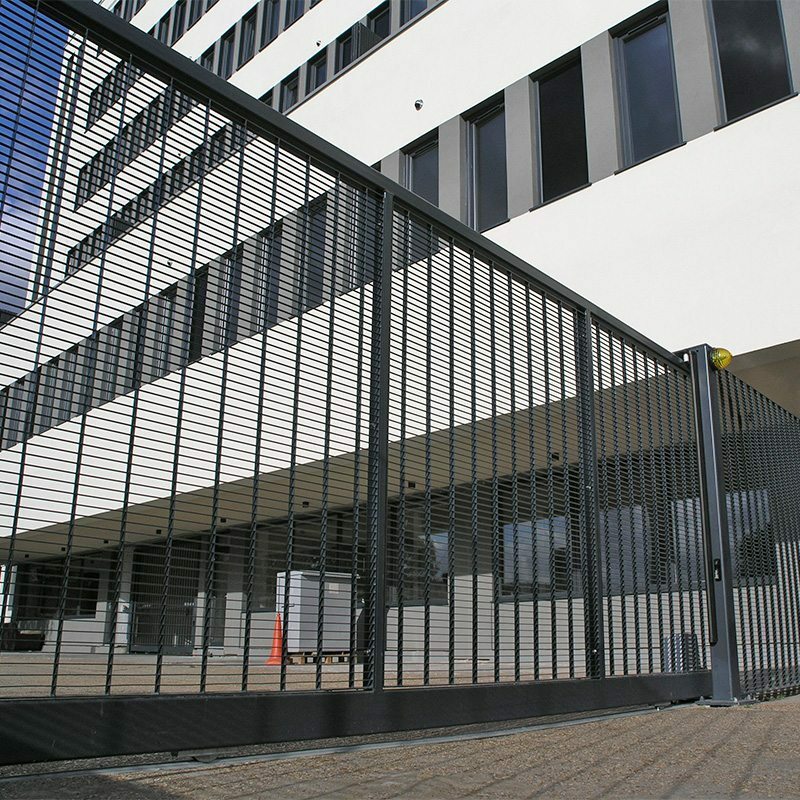 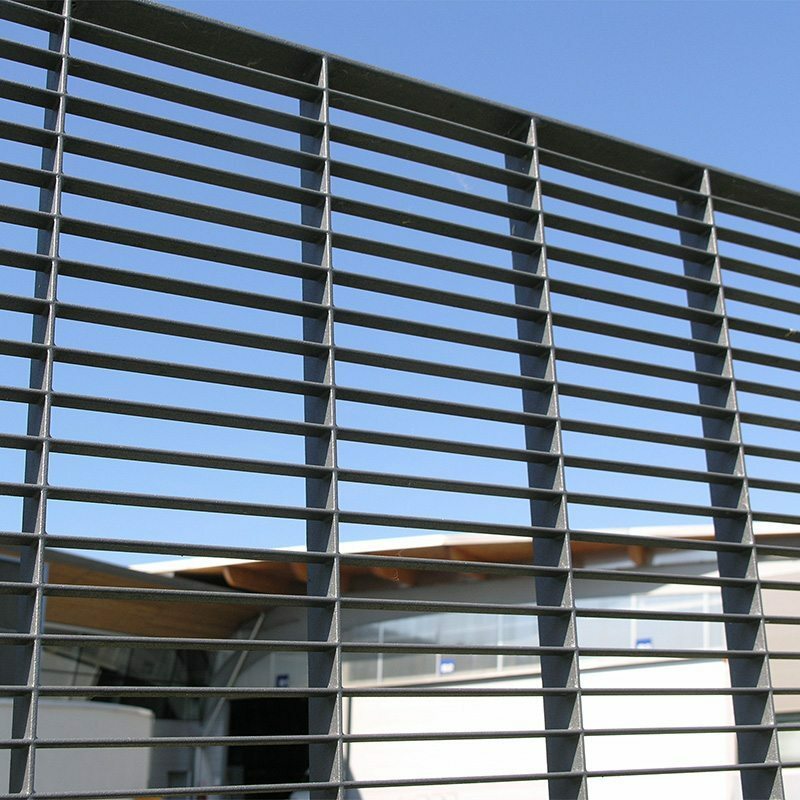 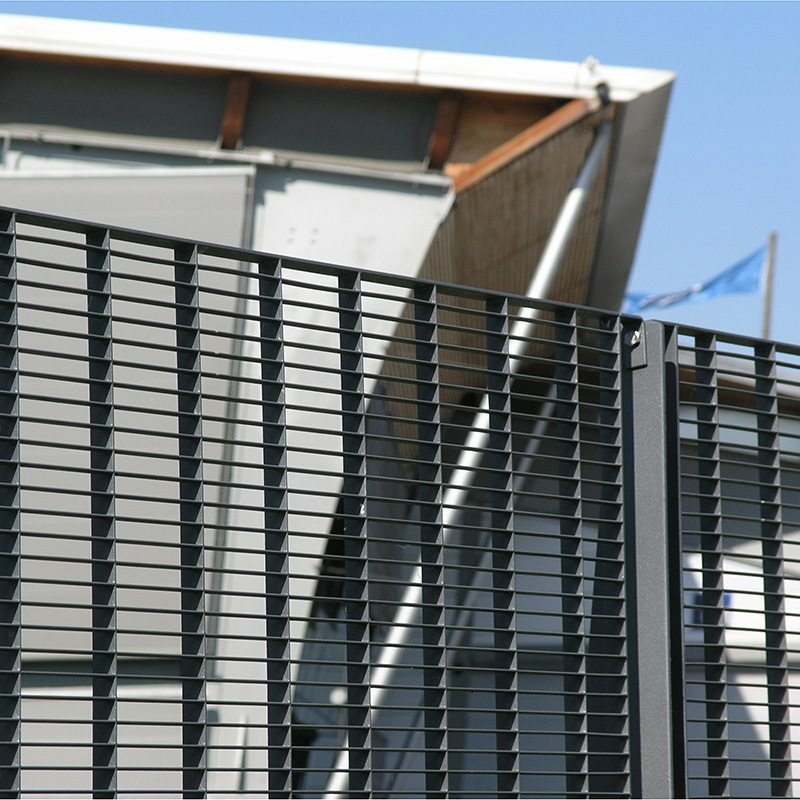 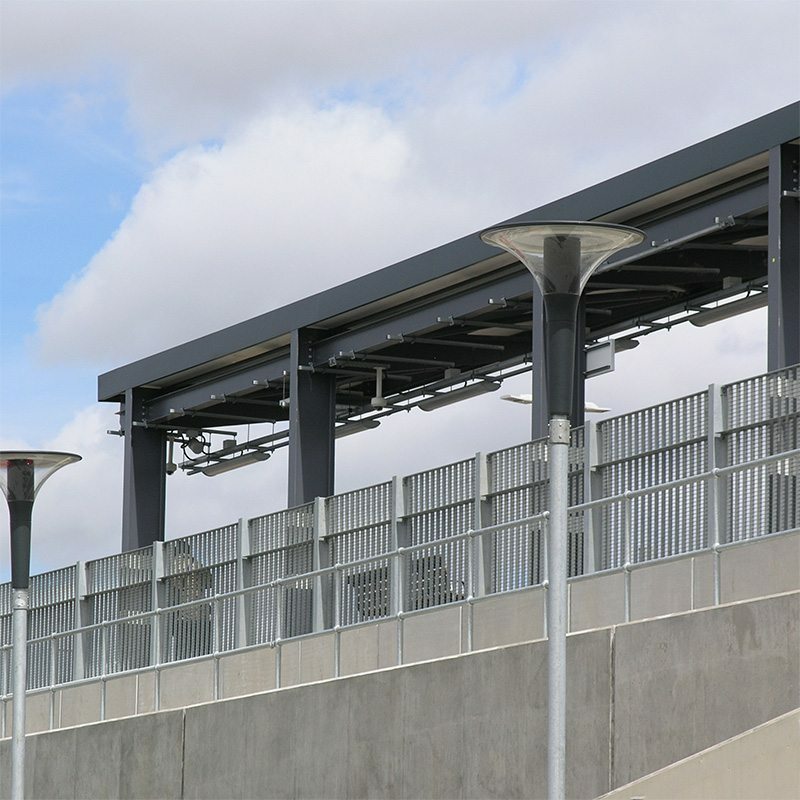 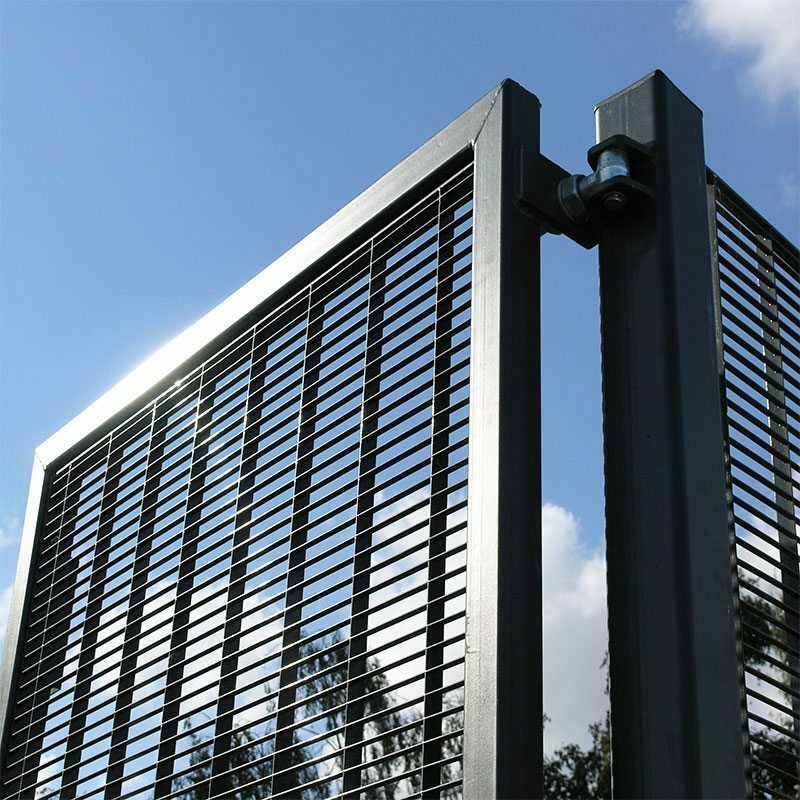 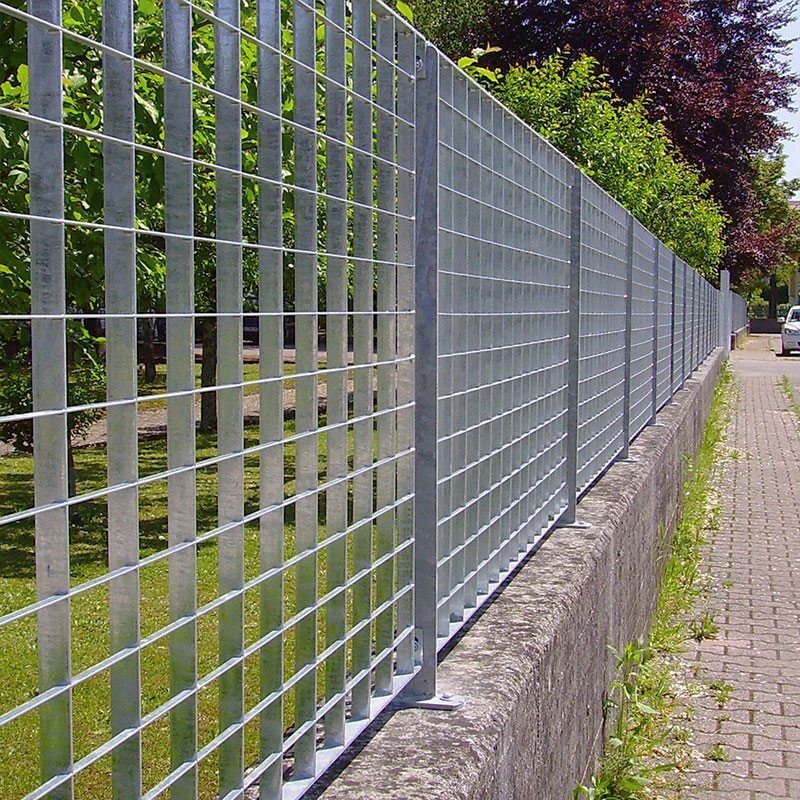 It can therefore provide fencing with surprisingly different properties and characteristics: either for security with a strong, clearly defined structure or for boundary demarcation with an open, transparent appearance. 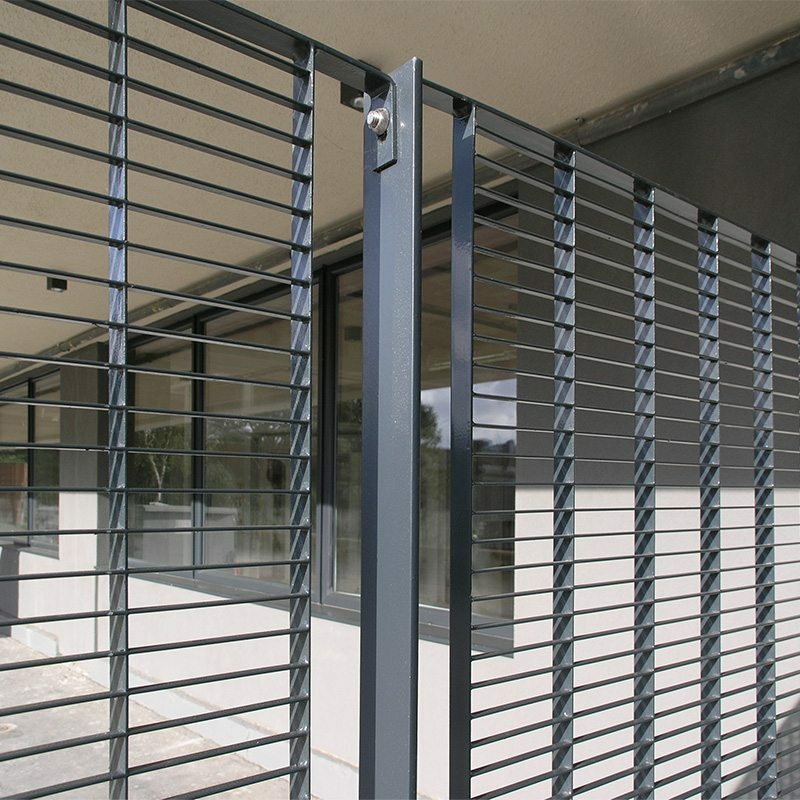 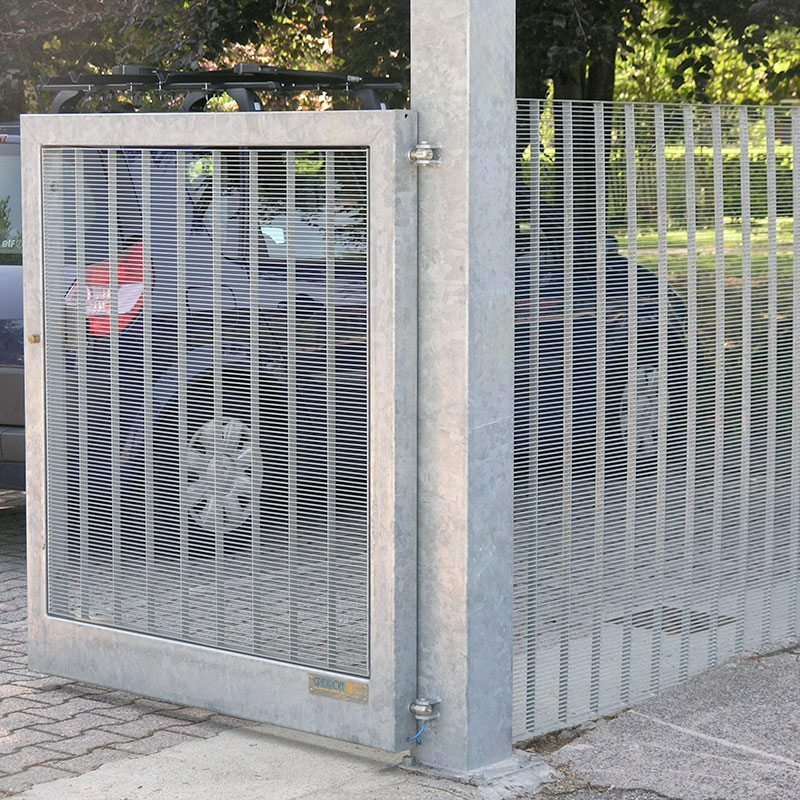 Swing-hinged single or double leaf, bi-folding, pivot and sliding gates are made with matching Torino infill panels. 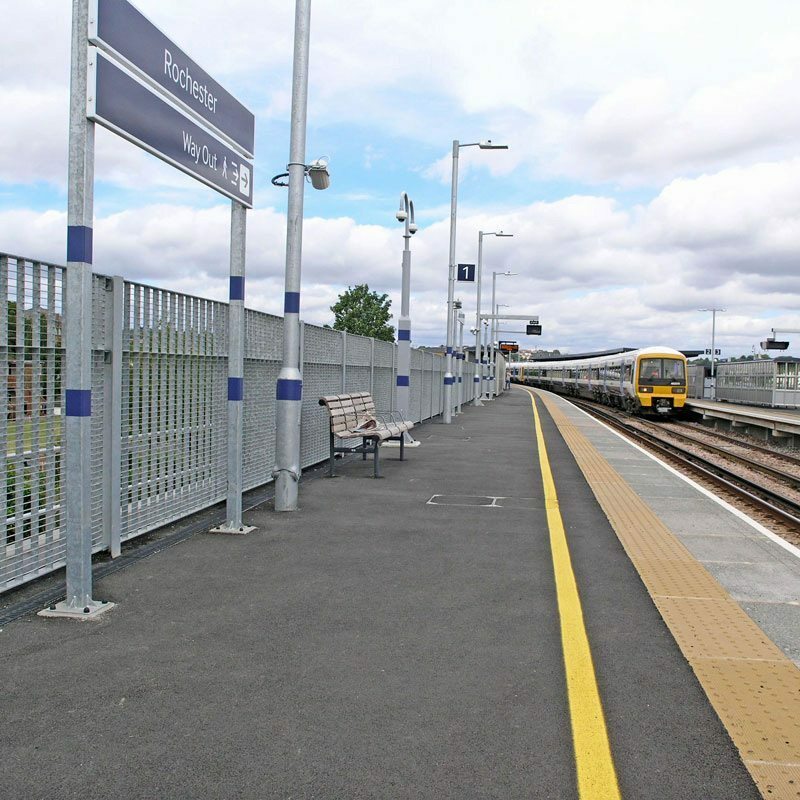 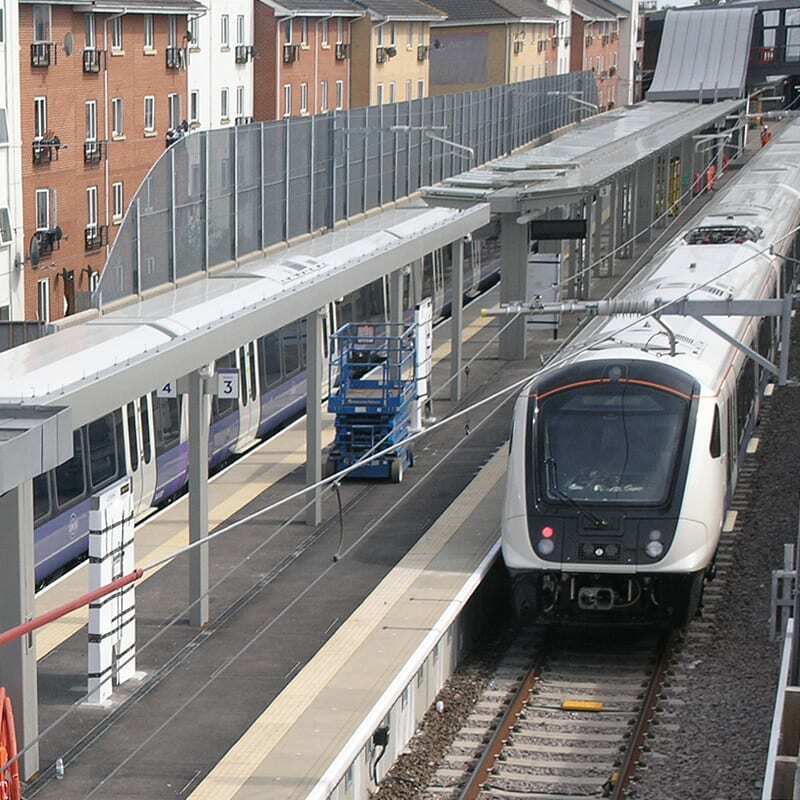 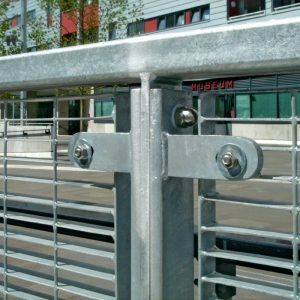 Panels and posts are supplied hot-dip galvanized with an optional polyester powder coating in any RAL colour.